PVR is looking to raise up to $100 million through QIP and has appointed Kotak Mahindra Capital and CLSA to manage the fundraising process. PE fund Indus Capital has moved NCLT against three subsidiaries of Uppal Housing citing oppression of investors, mismanagement and diversion of funds. KKR & Co. and General Atlantic have shown interest in investing in PhonePe. Its existing investors, Tencent and Tiger Global are also likely to invest. In view of the new FDI norms, Amazon has reportedly indefinitely put on hold its plans to buy a stake in the Future Group. It is also said to be reassessing stake buy in the ‘More’ retail chain. Indigo cancelled many flights during the weekend, majorly operated out of Hyderabad, Jaipur and Chennai, citing bad weather. However, it is said to be due to operational reasons and crew shortage. More flights may be cancelled on today. Karbonn Mobiles has started operations at its Tirupati manufacturing unit, set up with an investment of Rs.200 Crores. SBI and OBC Bank have put various accounts on sale to recover around Rs.5,740 Crores. Britannia is looking to set up a separate unit to invest in startups and emerging companies. Hotel chains across the boards are looking to increase tariff due to improved occupancy and favourable demand-supply equation. Analjit Singh is set to be back at all major group companies. He will be joining as Non-Exec Chairman of Max India & Max Life. Max India owes a majority stake in Max Bupa Health and Max Healthcare. Airtel has filed a contempt petition against DoT in Supreme Court for failing to return Rs.298 Crores despite repeated orders. Last minute airfares have almost doubled on Bengaluru and Mumbai routes due to the closure of runways. Airlines have been forced to cancel or reschedule flights due to high airfares. There are no flight movements at the Mumbai airport between 11 am to 5 pm every Tuesday, Thursday and Saturday. 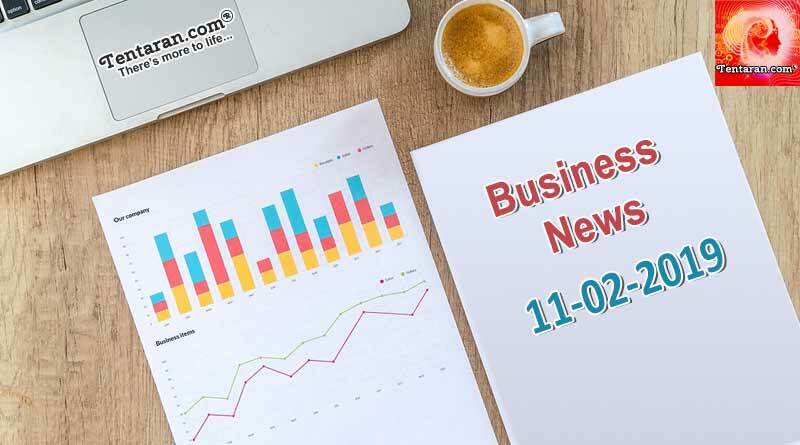 For more updates, like India business news headlines 11th February 2019, do Subscribe to our newsletter and follow us on Facebook, Twitter and Google+.